I really, really want to like Joe Biden. Though his record on progressive policies is mixed, he’s like the white grandpa I didn’t know I had. During his long career he has strengthened policies against campus sexual assault, helped pass the Violence Against Women Act, which he also wrote. He’s one of the most vocal male allies in the #MeToo movement in Washington, D.C. But every time Biden, who may be angling for a presidential bid in 2020, speaks about Anita Hill, it is so frustrating. In an interview with NBC’s Today, Biden condemned his colleagues for their treatment of Hill, who accused Supreme Court Justice Clarence Thomas, then a nominee, of sexual harassment. The 1991 hearing was more like a trial—Hill versus 14 white men in a committee headed by Biden, who rushed the process against the request of his female colleagues; did not block offensive, invasive questions and comments from his colleagues; did not include key witnesses who backed Hill’s experiences; and, at the last minute, switched the order of the testimonies, allowing Thomas to preemptively discredit Hill and defend himself. As we’ve re-learned this week, belief doesn’t seem to much matter. Very little of what has transpired in how Congress is dealing with Ford suggests it will deal with her hearings any differently than those with Hill 27 years ago. Ford, like Hill did then, deserves more. An important way to avoid repeating the past, then, would be for Biden to acknowledge his full role in what transpired—something that Anita Hill, in a 2017 interview with the Washington Post, has asked for. “That’s sort of an ‘I’m sorry if you were offended,’” Hill told the Post in response to Biden’s half-apology. “That’s what I want to hear,” she said. 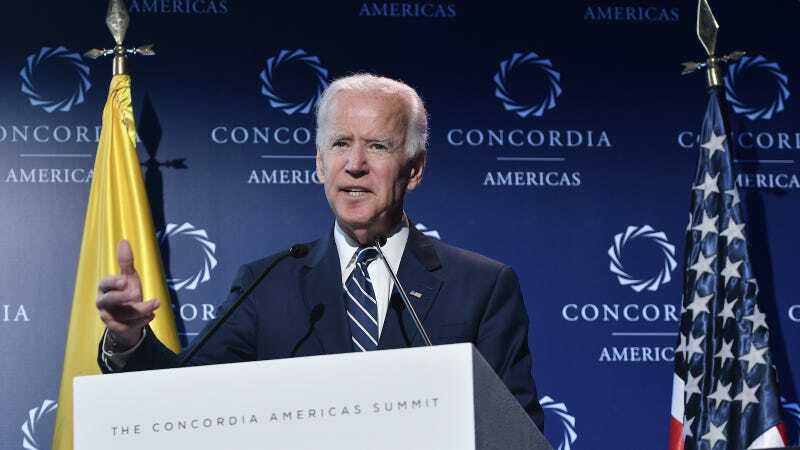 It’s much easier for Biden to claim moral high ground and chastise his former colleagues for doing the wrong thing, but Biden falls short of acknowledging the extent to which Hill was wronged and how his actions contributed to that. That’s especially disheartening because Biden is supposed to be one of the good ones. Joe Biden Is Maybe, Perhaps Running for President in 2020?